The chief executive of the $7.6 billion Vision Super, Stephen Rowe, has hit out at the federal government for using superannuation as an ideological “plaything”. In an interview with The Australian, Mr Rowe said plans to challenge the industry super fund model of “equal representation” of trustees and to change the law on default funds were part of a broader anti-union agenda. “We have a government which is intent on developing a narrative that there is a problem with industry superannuation funds because of their connection with the union movement,” he said. “The government is trying to fix a problem that doesn’t exist in the industry superannuation sector. Originally known as the Local Authorities Superannuation Fund, Vision Super was established in 1947 and has more than 102,000 members. While the fund is now open to the general public, it mainly serves employees in the local government sector. Mr Rowe’s comments come as the Assistant Treasurer, Kelly O’Dwyer, has vowed to put legislation requiring all super funds have a minimum of 30 per cent independent directors and an independent chair into the Senate early this year. She also plans to introduce legislation designed to remove superannuation from enterprise bargaining agreements, a move which would strike down the current situation where many enterprise deals nominate an industry fund as the default super fund for their employees. The $430bn industry super-fund sector has traditionally had equal representation from employers and unions or employees as trustee directors of the funds. Industry Super Australia last year appointed former Reserve Bank governor Bernie Fraser to review issues around the governance of the industry fund sector. “Our fund has been around for 70 years,” Mr Rowe said. “We have had equal representation of trustees for the past 30 years. I don’t see how having at least 30 per cent or more as ‘independent’ trustees is an answer to a problem. 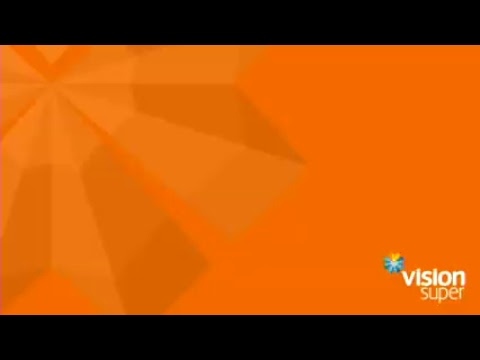 Vision Super has nine directors — four as member representatives, four as employer representatives and one independent director. 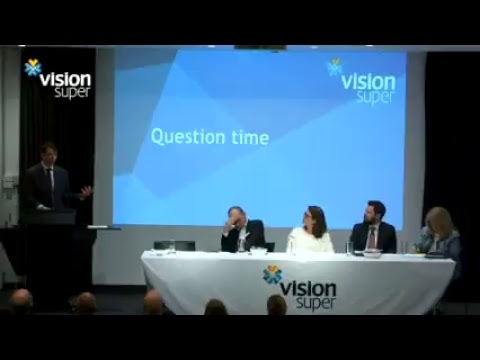 Mr Rowe said Vision Super had appointed an independent director, financial adviser Joanne Dawson, in August 2014 as the board wanted more expertise in financial management. He warned that replacing employer representatives with “independent” directors also risked cutting ties between the employers and the superannuation fund. He said this was critical when employees were in a defined benefit fund where employers could have to top up the fund at times such as the global financial crisis. “Diluting employer representation (on the board) might be self-defeating,” he said. “In the case of defined-benefit funds in particular, it is incredibly important that the employers feel connected with the fund. Mr Rowe said about a third of Vision Super’s funds under management were for defined-benefit super funds. He said the defined-benefit funds, which pay out pensions for life for retirees, had gone down to only 60 per cent of total liabilities in the years following the GFC. Mr Rowe said the superannuation funds were not like listed companies where independent directors could come and go. He said super appeared to be “a frontier of controversy between Labor and the Coalition”. “Largely, the conservatives have opposed improvements to superannuation and Labor has tended to favour them,” he said. He said this also included recent reports that the Turnbull government could freeze compulsory contributions to super funds to their current level of 9.5 per cent of salary and not increase them to the proposed 12 per cent. Mr Rowe said super fund members were also becoming concerned at constant suggestions that government was about to change the tax and other rules around superannuation. He said the industry super fund sector was well regulated by several government bodies including the Australian Prudential Regulation Authority, the Australian Taxation Office, the Australian Securities and Investment Commission and the Australian Transaction Reports and Analysis Centre.